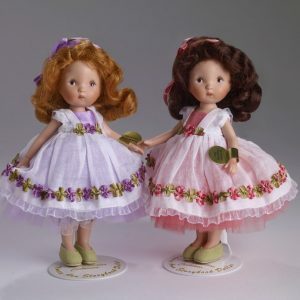 Phyn & Aero Nancy Ann as Dorothy, P17NADD09, sculpted by doll artist Dianna Effner, is made of the finest bisque porcelain, has hand painted details and stands 6 inches tall. 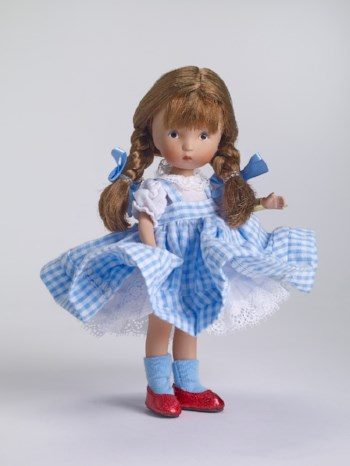 She is wearing her blue and white gingham dress, white under dress and, of course, her Ruby Slippers! 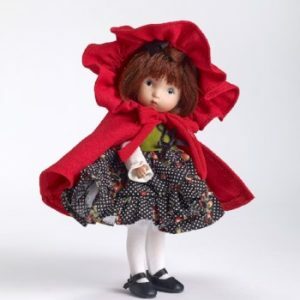 Dorothy has braided brown hair and eyes. Released 2018 and edition is limited to 200.